Social Media can play a powerful role in expanding your communications strategy for your Condo Association. While there are certain well known sites, like Facebook and Twitter, there are also many others which could add value. However, your time is precious, and every site takes up either staff or volunteer time. You need to make sure you choose your Condo Association social media presence carefully. Different social media platforms appeal to different demographics. You don’t need to have a presence on every social media site. Maintaining a Condo Association social media presence requires effort, so you want to make sure you pick the best sites. Here’s a high-level overview of the various sites and what they’re good for. If you are only on one social media site, you probably should make it Facebook. Facebook is the big daddy of all social media. It is ideal for Condo Association pages due to the fact it has built in “page” functions and is a great platform for posting messages, pictures, and other information. If you’re going to only be on one site, go with Facebook. Chances are most of your Owners are already on it. Twitter, in case you’ve been frozen in a time capsule, is a “microblog” site which allows you to send out short messages of 140 characters or less. Twitter’s best use for communities is spreading information in bite-sized forums. For example, if you’re running a major project and conducting inspections, Twitter is a great way to send a quick reminder to Owners. In general, however, Twitter’s shorter format isn’t as conducive to Condo Association social media communications. If your Association has a number of professionals – perhaps you’re in a big city and everyone is a networker – LinkedIn might be a dark horse for your community’s social media presence. On LinkedIn, people are more aggressive about their careers than Facebook. Accordingly, the platform and help build a sense of community through networking. For example, you could host networking events via your Social Committee and used the communities’ LinkedIn site as a platform for connecting everyone. Instagram is known for its pictures, and it can be a bit of a niche site as Condo Association social media platforms go. However, if you have a particularly picturesque property with great views, an Instagram page might be a great way to promote your community. It also could be a good site if you have photographically inclined Owners – maybe you could feature some of their work. 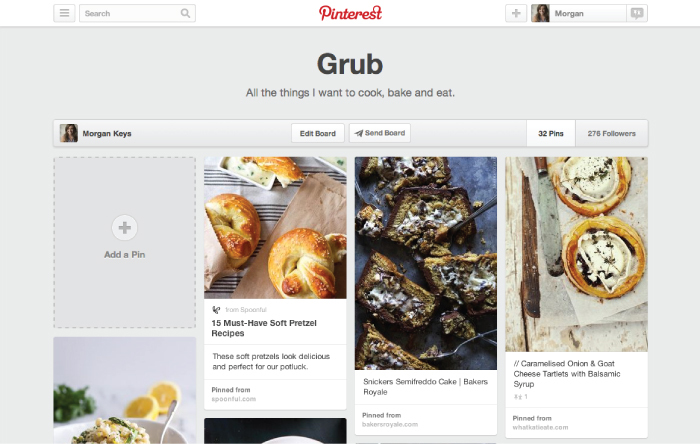 Perhaps a Pinterest board is what your community needs to boost engagement. Pinterest is a site where you can “pin” items of interest. This is not a platform for communicating with Owners about internal building matters, but can be a great way to make them aware of items of interest in the neighborhood. The best use for this in your community is as a way to showcase events in your area. For example, if there are new restaurants that are local, or concert series at a nearby mall, you can use your communities’ Pinterest board as a place to tag items. There are numerous ways to promote your Condo Association in social media. As your time is likely limited, the key is picking the right platform(s) for your community. Constant, fresh content is the biggest requirement for successful engagement on the internet. Make sure you select Condo Association social media platforms that you’ll be able to keep up with to engage your Owners.